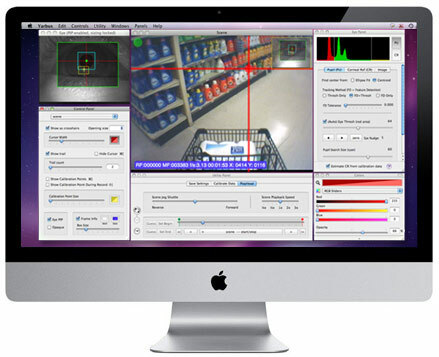 Yarbus eye-tracking software allows processing of prerecorded eye and scene videos or real-time eye and scene video streams. You can even import videos from other devices such as GoPro or Contour HD video cameras. 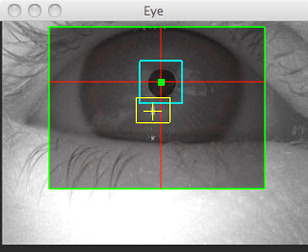 Yarbus is an affordable eyetracking application developed for Mac OS. 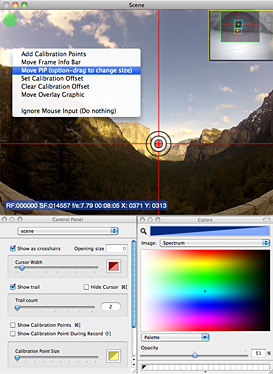 A personʼs eye position can be mapped to a reference scene video through a simple calibration. The application allows the user to perform eyetracking from prerecorded eye and scene videos (which we call “Offline” mode) or for real-time eyetracking (which we call “LiveCapture” mode). Yarbus has a number of features. It allows for automatic pupil thresholding and/or more advanced feature detection methods. 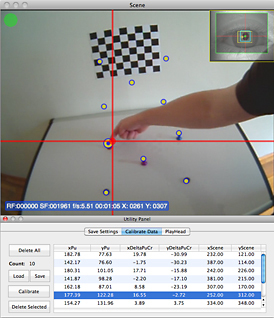 Yarbus focuses on flexibility and graphics, including adjustable eye picture-in-picture superimposed over the scene, a simple calibration interface, rich graphics for the scene video, eye and scene video synchronization (for Offline mode), saving eye-tracking footage as a Quicktime movie (MPEG4, JPEG, H.264), saving eye-tracking data as an ASCII text file, and the ability to stream eye position to multiple clients on a network via universal socket connections supported by most programming scripts and languages. Easily manage your calibration session by adding or removing points dynamically. Graphically hide or display points at anytime. Finally, a recent feature is the ability to receive eye and scene video wirelessly from the Mobile Eye-Tracking Laboratory (METL) for near real-time previewing and calibration. Assisted (and non-assisted) feature detection and thresholding methods allow realtime pupil and optional corneal reflection tracking. Customize your video with a range of optional overlay graphics.